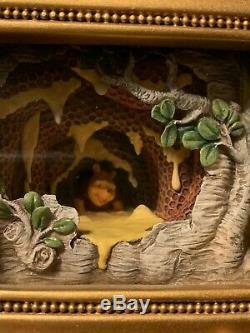 Olszewski Gallery of Light Winnie the Pooh Stuck in a Sticky Situation RARE. 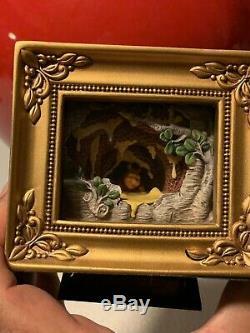 The item "Olszewski Gallery of Light Winnie the Pooh Stuck in a Sticky Situation RARE" is in sale since Friday, February 22, 2019. This item is in the category "Collectibles\Disneyana\Contemporary (1968-Now)\Figurines\Other Contemp Disney Figurines". The seller is "romeo35romano42" and is located in Fort Lauderdale, Florida. This item can be shipped to United States, Canada, United Kingdom, Denmark, Romania, Slovakia, Bulgaria, Czech republic, Finland, Hungary, Latvia, Lithuania, Malta, Estonia, Australia, Greece, Portugal, Cyprus, Slovenia, Japan, China, Sweden, South Korea, Indonesia, Taiwan, Thailand, Belgium, France, Hong Kong, Ireland, Netherlands, Poland, Spain, Italy, Germany, Austria, Bahamas, Israel, Mexico, New Zealand, Singapore, Switzerland, Norway, Saudi arabia, Ukraine, United arab emirates, Qatar, Kuwait, Bahrain, Croatia, Malaysia, Chile, Colombia, Costa rica, Dominican republic, Panama, Trinidad and tobago, Guatemala, El salvador, Honduras, Jamaica, Uruguay.